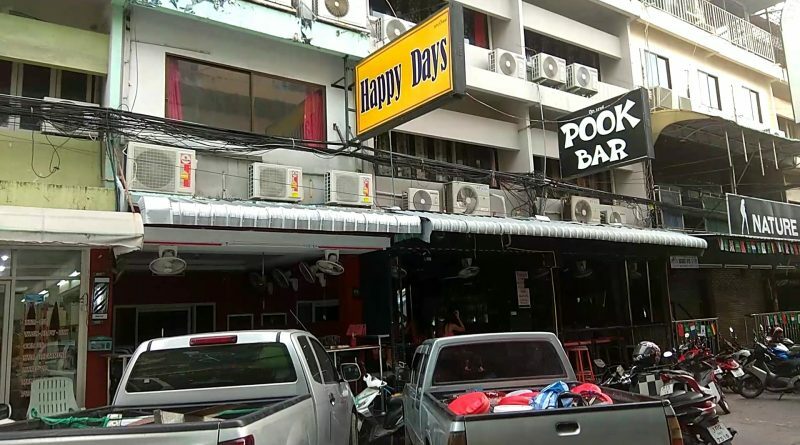 Today the Pattaya rumour mill is ablaze with a story that some foreigners were fined 3000 baht for standing on the back step of a songtaew, (the Thai word songtaew means two-rows, modified pickup trucks used as mini buses in Pattaya). This seems a rather high amount for an offence where the person whose safety at risk is really the victim him/herself, as is the case of not wearing a helmet and other things that are of dubious personal safety but not really causing any danger to others. Sporadic enforcement of laws that are technically on the books but rarely punished in practice is a fact of life in Thailand. The announcement came just a week before hundreds of thousands of commuters will hit the roads during Songkran, the Thai New Year holiday. Riding in the back of a pickup is an economical and convenient means of travel for large families, though officials said the habit contributes to many road fatalities. Contrary to widespread misunderstanding that both measures were issued by the junta, the prohibition on truck-bed riding has been enshrined in law since 1979, only now the authorities are choosing to enforce it, according to the director of the Land Transport Department. As we have seen, the practice still continues despite official attempts to curtail it. Getting around by songtaew is still probably the safest method in Pattaya, given that the vehicles are basically slow-moving and offer more protection to occupants than taking a motorbike taxi, which can be a dicey proposition at times with some riders aggressively cutting through traffic and using the wrong way down one way streets. It seems unlikely that many tourists, if any at all, will have to pay up in response to this latest rumour.